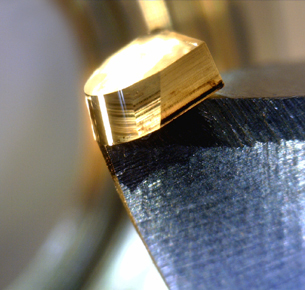 Some companies say there is no significant difference between diamond tools. They are wrong and it’s costing them money! ALL DIAMOND TOOLS ARE NOT ALIKE…nor will they work equally well on different applications. The application is our primary technical consideration. We then apply our toolmaking expertise to manufacture the most efficient tools possible. The diamonds are carefully selected and cut on the proper orientation, matched to your application. Lastly, and perhaps most importantly, we select the best of five edge preps for the job, which includes three unique and proprietary edge preparations. Take advantage of Diateq cost savings programs for both SCD & PCD cutting tools.